DOHA: In an unremarkable office in a Doha hospital, a study is taking place which could transform the way Qatar deals with one of its most persistent health issues – diabetes. A small team led by professor Khalid Hussain has since last year been entering youngsters aged up to 18 with diabetes into a nationwide database, something he claims is unique in the region and possibly the world. “What we want to do is recruit every child with diabetes in Qatar into our research project,” says Hussain, who runs the project out of his office in the capital’s Sidra medical complex. The aim? To work out how many children in the tiny Gulf emirate are suffering from the chronic disease, to pinpoint the type, and to tweak treatment accordingly. “By understanding the different types… we actually make a difference in the lives of patients,” adds Hussain. 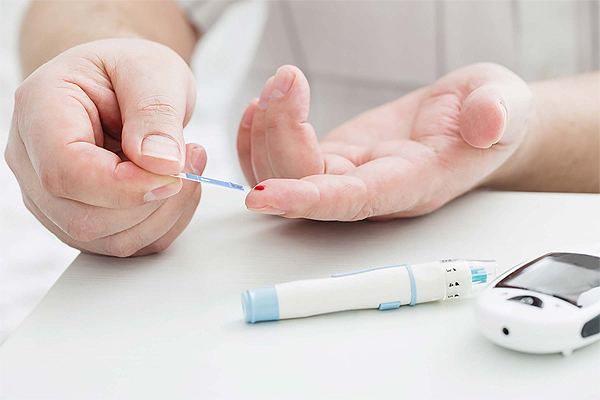 Diabetes – a disease where body blood sugar levels are too high – is common across the globe. The World Health Organization (WHO) says the number of people with the disease rose from 108 million in 1980 to 422 million in 2014. The Gulf region, Qatar included, is no exception. Poor diets, sugary drinks and lack of exercise, along with inter-family marriages and genetics, have all been cited as reasons behind the prevalence of diabetes in the region. A 2017 WHO study estimated 72 percent of Qatari adults are currently overweight and 34 percent are living with obesity. Professor Hussain’s study hopes to determine the overall rates of diabetes in Qatar, and to establish the breakdown between types 1 and 2. With type 1, generally diagnosed during childhood, the body destroys cells in the pancreas which create insulin, the hormone that controls blood sugar levels. In type 2, caused by lifestyle and genetics, the body makes some insulin but not enough. This second form of the disease correlates highly with obesity and can, over time, lead to blindness, kidney damage, and heart disease or stroke. Researchers at Weill Cornell Medicine predict type 2 diabetes in Qatar will jump from around 17 percent of the population now to around 24 percent by 2050. “Hopefully we will know by the middle of 2019 how many children in this country have diabetes and what types they have,” Hussain says. “As a clinician, what’s more important for me, is if I know what type of diabetes the children have.” That way he can “tailor their treatment”, he adds. As many as 1,200 children with diabetes – Qataris and expats – are expected to take part in the project, Hussain says, with the first findings expected to be published sometime in July. The small size and huge wealth of Qatar helps make professor Hussain’s study possible. He says only “Norway and Sweden” have made similar attempts to get the “whole picture”. His office may be modest but it sits in the vast new $8 billion Sidra medical center and overlooks 14 giant bronze sculptures by artist Damien Hirst charting the moment of conception to birth – a testament to the Qatar’s riches.